Solid and sensible with family in mind! 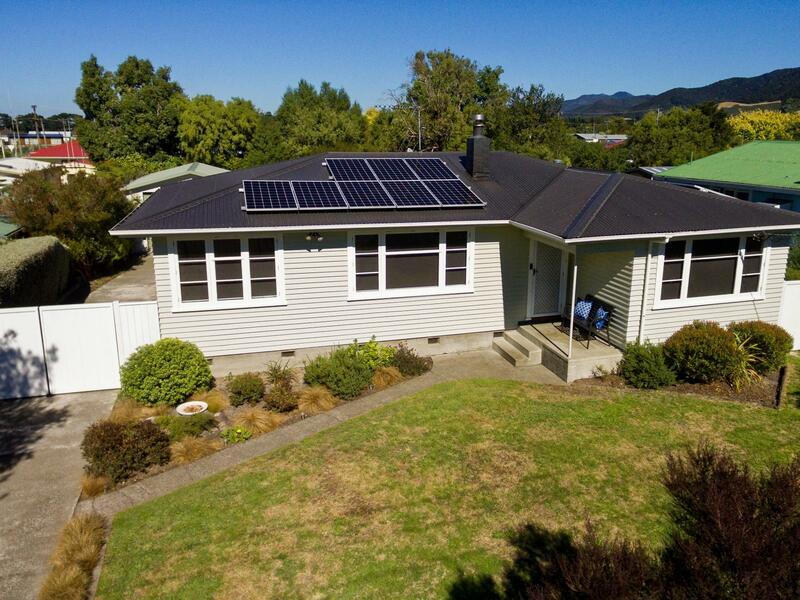 Built in the 50's this three bedroom home will not disappoint, with its high tech extra's that include solar panels, security cameras and two electric vehicle charges - a return trip to Wellington costs approximately $2.50 in their Nissan Leaf!!! Modernised throughout this home boasts a large lounge with wood burner on wet back and a ducted heat pump and heat transfer system to all the bedrooms. The kitchen is galley style with room for a table at the end. There will be no need for clutter on the benches in this kitchen due to the abundance of cupboards, shelves and drawers. For ease of family living there is a separate laundry and a separate toilet. A garage and carport a gazebo and a children's play house in the private back yard. Located in a sought after Street and within an easy walk to the shops, train station and schools this will be a desirable home for families. This home will not last long so call Benn and Erin today for more information or to arrange a viewing. Fixed floor coverings, Blinds, Light fittings, Auto Garage Door Opener and 3 Remotes, Dishwasher, Drapes, Electric Stove, Garden Shed, Heat Pump and 2 Remotes, Mirrors, Range Hood, Security Lighting, Smoke Detectors, TV Aerial, Solar Panels, Solar Diverter, Security Camers x3 + NVR, Network Cables and Switch, Fireguard, Play House, Car Charger, Insinkerator, Security Doors (front/back).